This is the new PlayStation licensed Thrustmaster wheel for Gran Turismo fans: Thrustmaster T-GT! 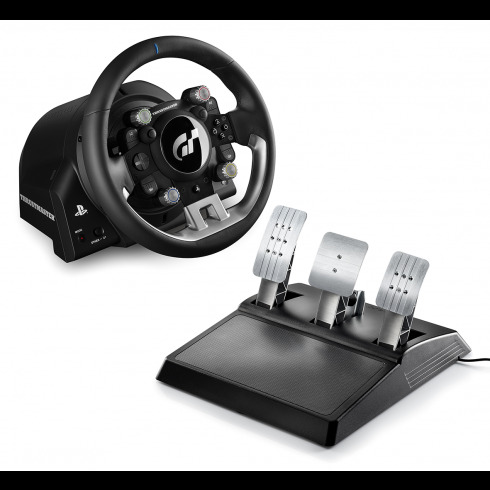 The Thrustmaster T-GT for PlayStation 4 and PC is the result of an intense collaboration between Thrustmaster’s engineers and the creators of Gran Turismo, to create the ultimate GT wheel, for the most fun and realistic racing experience possible! The new racing wheel is a powerhouse of highly innovative technologies resulting from in-depth research into all of the sensations required for an immersive, ultra-realistic racing experience. This research has been the subject of a number of different challenges conquered by Thrustmaster’s development teams, to further improve their racing wheels. Experience racing the way it's meant to be and mount the Thrustmaster T-GT on a Playseat® racing chair! All Playseat® racing chairs are compatible with the Thrustmaster T-GT!